With the arrival of summer you can bet there will be a lot of couples planning for their "special" day. If you are part of the planning committee it just might be the right time to sort out any special decorations you might need. 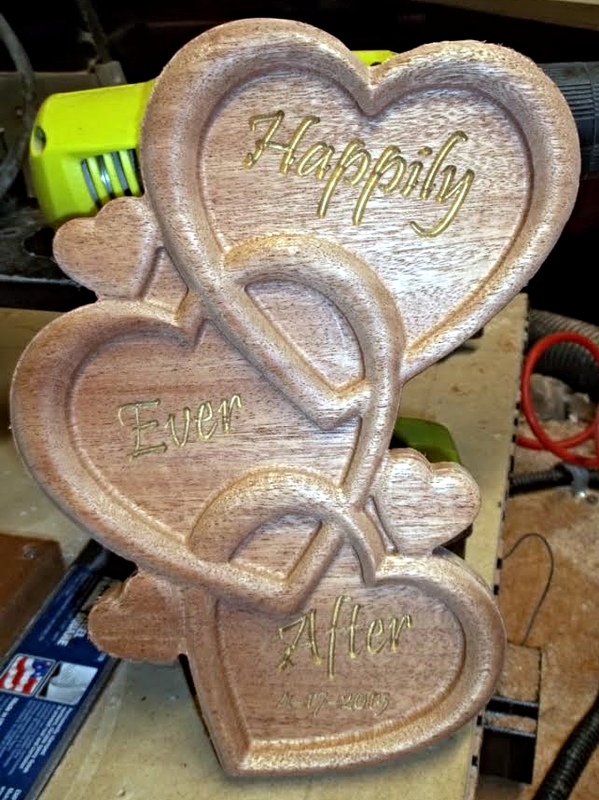 Don Harding just finished this lovely wedding gift for his Grandson. He used models for the Be Mine No.1 and No.2 projects to create this layout. "10 x 19 x 1 cherry wood . 9 Hours"
What a final project that will surely be cherished for years to come. Don's layout could have been easily used as a wedding sign to be hung over a guestbook or to welcome guest as they arrive. If you are attending the wedding as a guest that day will arrive, you know the day, when you have to sort out what to get the couple for a gift. Now if you have been married for a few years it's always a good idea to have an anniversary gift ready to go, just in case you are a bit foggy on the date. James Patton sent in these next two lovely, almost finished, and finished projects. 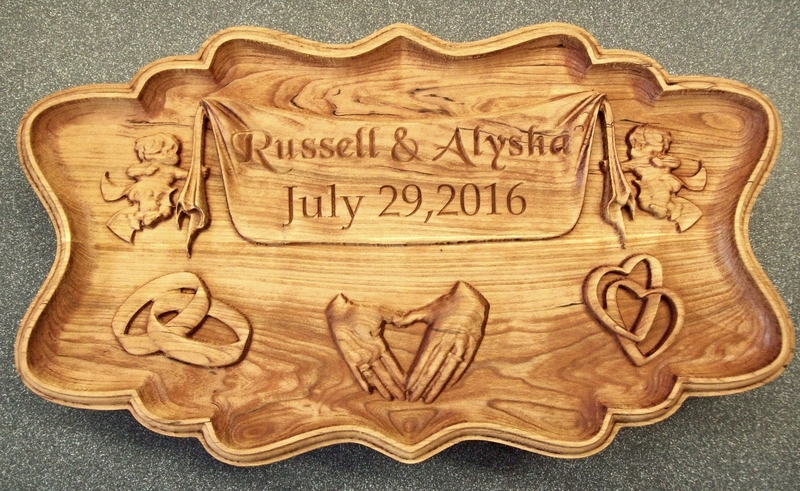 This first one could easily be used for an anniversary gift, wedding plaque or gift. "The hearts from Be Mine No.2. Haven’t quite figured out the finish I want on the second one, but the lettering was done in the 18kt gold plate..."
That gold leaf sure looks nice. What a great touch! "Here’s a piece carved from the Be Mine No.2 project. Made it for our anniversary ( only been married a year, but been together for 21..lol) Stole the wording from your site. 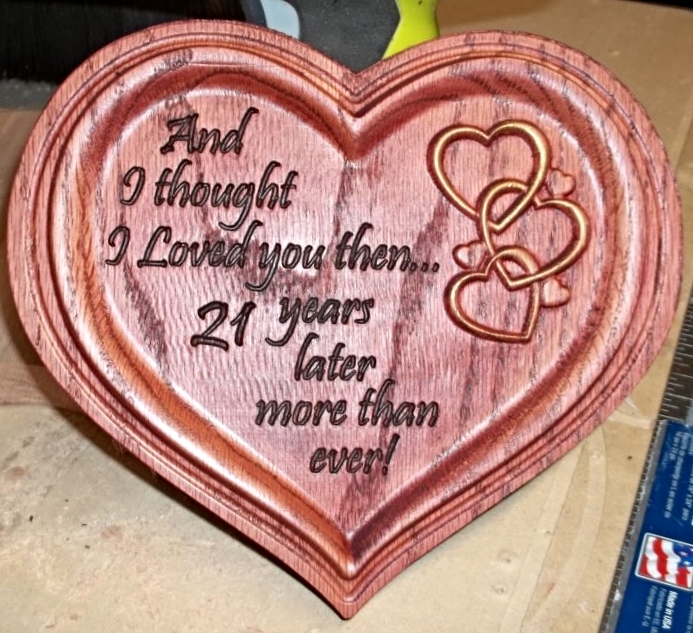 It was carved in red oak...then stained cabernet, some light coats of semi-gloss and then hit the outer edges of the heart with some gold rub n buff. Lettering was stained with ebony. About 8" diameter..."
What a great gift and it turned out wonderfully! 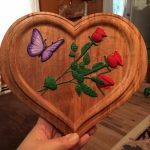 Tim Babb, from The Woodworking Maniak, created this lovely box for Valentine's Day for his wife. It's a great project and seeing as he has a YouTube channel you can see exactly how he made it. Tim used the Be Mine No.2 project to create his layout and finished box. 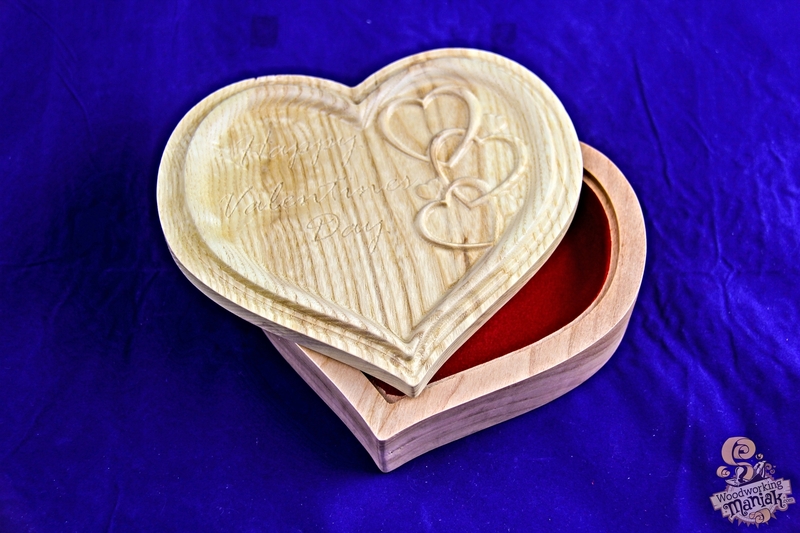 Keep in mind this easily could have been a ring box for a wedding or a wedding gift with just a quick change of the v-carving on the top. Looking for more wedding or anniversary inspiration? Click on this link to do a quick search of DesignandMake.com for more projects, hacks and ideas. 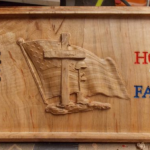 Thank you, Don, James, and Tim for taking the time to share your finished project with us!